If you saw the recent video of "Old Mr. Grump" shooting the "Lucky Lawyer" in Los Angeles, you can learn a valuable lesson about which firearm to choose for self-defense. The press rarely reports what kinds of guns are used in crimes, and usually gets it wrong when it tries. Nevertheless, I have concluded Mr. Grump used a .22-caliber pistol. Otherwise, the Lucky Lawyer would not have remained on his feet for so long. Now, a .22, a .25 and a .32 will kill you, provided the bullet strikes a vital organ. Sometimes the person will bleed to death if the wounds are not treated promptly. But in a self-defense situation, you will not be comforted by the fact that your assailant bled to death an hour after he cut your throat or blew your brains out. And, as Mr. Grump demonstrated on camera, hitting a vital organ is not that easy for an untrained pistolero. By the way, the numbers used to describe bullets refer to the diameter of the bullet. We use the English system, the Europeans use the metric system, but the diameters are the same. Most people who know anything about guns recommend as a minimum the .38 special, preferably the .38 Plus P with hollow-point bullets, for self-defense. I have always personally favored the .45, either the .45 ACP or the .45 Long Colt. Of course, the .40, the .357 Magnum, the .41 Magnum, the .44 special and .44 Magnum will also more than do the job, but there are disadvantages to those weapons. Firing a .44 Magnum in a close room is likely to make your ears ring for weeks. There is also the danger that the bullet will pass through the assailant, through a wall and into some innocent person. After all, most of us no longer live in stone castles, but in places built with cheap wood and plasterboard. I am not recommending that you run out and buy a hog leg for self-defense. That’s too important a decision to be made on the basis of a newspaper column. If you are, however, thinking about it and you are not familiar with firearms, you must first do three things. One, you have to prepare yourself psychologically to take a human life. It’s one thing that can’t be undone. As my father said repeatedly when he was teaching me to shoot, "After you kill somebody, it’s too late to be sorry." And so it is. In a life-and-death confrontation, you can’t afford to conduct a debate on whether to pull the trigger or not. So, if you can’t visualize yourself killing a human being and then living with it, you’re better off buying a can of pepper spray. Two, you must learn the laws in your state regarding self-defense. They are both easy and tricky. It’s easy in that the law states that if you, as a reasonable person, believe that you and/or another person are in imminent danger of death or great bodily harm, you can use whatever force is necessary to defend yourself. If you are inside your own home, you do not have to retreat. Now the tricky part. Outside your home or place of business, if there is an escape route, you must take it. Even if someone walks up to you and spits in your face, slaps you or even punches you, you cannot whip out your gun and shoot the person. Killing for the sake of honor is no longer allowed in our decadent society — more’s the pity, as it would greatly improve manners. Nor can you claim self-defense if you initiate the confrontation. For example, if you start a fistfight and your opponent whips out a knife or gun and you shoot him, that’s not self-defense. Even in your own home or business, if the assailant turns tail, you cannot shoot him in the back and claim self-defense. If you plan to use a firearm for self-defense, you had better know the law, or you’ll see the inside of a prison. 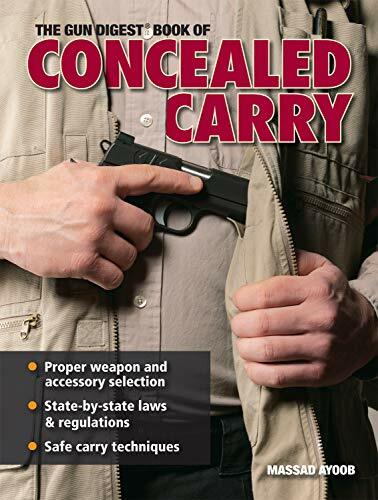 Third, you have to buy your gun and then practice diligently to become really proficient in its use, so proficient that you can use it in the dark when you’re scared and caught by surprise. And finally, a politically incorrect word of advice passed along to me years ago by a veteran cop: If you have to shoot somebody, make sure the judge will hear only your version of what happened. In other words, kill; otherwise, your assailant will probably sue you.